Every day, hundreds of railroad workers are injured or killed on the job. Long lasting injuries can also occur as a result of illness acquired from a railroad work environment. Railroad work poses numerous life-threatening risks and a high level of danger to workers. On-the-job accidents for railroad workers can also lead to wrongful death.The vast majority of railroad worker injuries are considered a result of employer negligence. Regardless of whether an accident happened due to defective equipment or poor working conditions, the employer can be held responsible. The Federal Employers Liability Act (FELA) is a United States federal law that was enacted in 1908 in order to protect and compensate railroad workers that were injured on the job as long as the worker could prove that the railroad was at least partially negligent in causing the injury. FELA covers bodily injuries, harm caused by asbestos exposure, and repetitive stress and its cumulative trauma injuries. In order to receive benefits under FELA, a worker must prove that the injury was caused in whole or in part by the negligence of a railroad employee, an agent or contractor, or from a faulty piece of equipment. If the worker is not found to be completely at fault, he or she has the right to sue for damages in either a state or federal court. FELA awards are generally much higher than those of workers' compensation claims because FELA uses the legal doctrine of comparative negligence. This means that a jury will determine the percentage of negligence for which each party is liable and this establishes the percentage of the award to be allocated to the worker. In addition to injuries, railroad workers are also subject to a number of illnesses. Exposure to environmental pollutants, asbestos, toxins, silica, diesel exhaust and other chemicals are factors to these illnesses. Lung and brain disease, cancer, cognitive impairment, nerve damage, mesothelioma and musculoskeletal disorders are some of the most common health complications that result from railroad work. Nemeroff Law Offices offer a free consultation to evaluate your railroad worker accident claim. It will cost you nothing to consult with a lawyer to see if you have a case. It is essential that action be taken promptly to preserve evidence, investigate the accident and/or the conduct in question and to file a lawsuit, particularly prior to a deadline imposed by the statute of limitations. 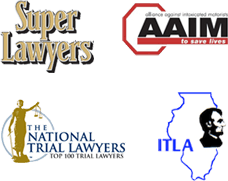 The Illinois and Chicago railroad worker accident attorneys from Nemeroff Law Offices are prepared to help you build a strong case against a negligent railroad company. Our railroad worker accident lawyers will work to help you get the compensation you deserve. Contact Nemeroff Law Offices at 312-629-8800 or complete our online contact form. Our railroad worker accident attorneys are available to speak with you directly.